What a World Cup it’s been, and to celebrate the Semi Finals we thought it was the perfect time for a sale! Whether you choose to buy 100 F/c or 3800 F/c, all of our packages will reward you with an EXTRA 20% free. This is a very limited offer, and will have to finish at 11.59pm (BST) tomorrow (9th July). You may want to create an additional World Cup iTeam to take advantage of there only being 2 gamerounds left or you might want to start the brand new 14/15 Premier League season with more than just one. 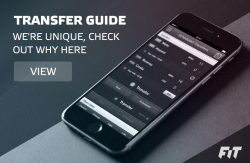 If an extra team isn’t your thing, then simply take advantage of the cheaper additional transfers. A sale has to have a beginning and an end, and we appreciate that some of you may have topped up your credit balance very recently. 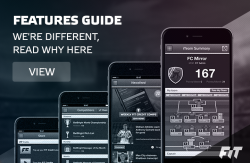 If you have made a purchase within the last 48 hours, please email feedback@fantasyiteam.com, forwarding the relevant iTunes/Google Play receipt for the transaction, and we will be more than happy to credit you with the 20% bonus. Best of luck for the rest of the tournament, and we hope to see you during 14/15.